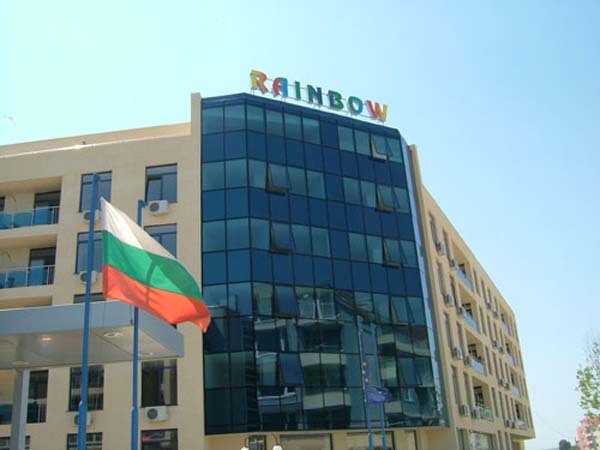 Luxury Rainbow apartments enjoy the amenities and location of Sunny beach - The biggest Bulgarian Black Sea resort, famous around the West Europe, which is closed to historical Nessebar (Messembria). There are also balconies directly facing the beach and the sea and windows to the pool side. You can choose 23 sq.m., 36 sq.m., 46 sq.m., 55 sq.m, 68 sq.m., 77 sq.m. and 98 sq.m. studio or apartment. 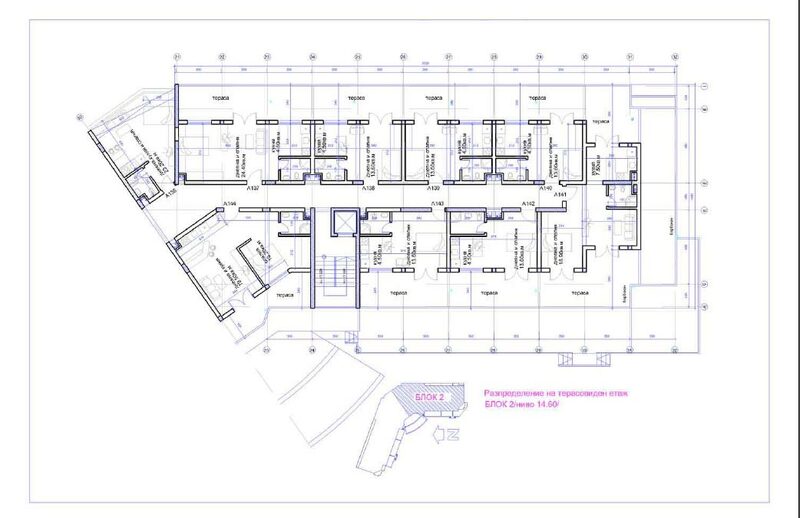 The price starts from 1395 euro per square meter. The furniture is included in the price. • 30 min. from the Airport Burgas. • Property management. Guaranteed rental. • Building insulation: thermal and hydro-insulation of the whole building by modern materials including such of the ceiling, facade, and basement premises. • Facade covering: mineral plaster. • For the basements: whitewashed walls and ceilings and metal dust-painted doors of the cellar premises. • Water supply and sewerage system: by environmentally friendly PVC-piping and mounted water-meters. • Built-up outside electric system and kiosk switchgear. • Window-frames: environmentally friendly, nonflammable, noise-preventing, thermally insulating aluminium material with double glazing. • Staircase and under-window area: terracotta. • Staircase handrails: luxury, metal - inox. • Balconies: luxury metal-and-glass handrails and granite-tiled floors. • Inside electrical system with installed apartment board. • Weak-current electrical system: TV, wireless internet, security, and telephone. • Luxurious hydraillc lift units. Rainbow Beach Apartments is situated on a terrain located in the western part of the Slanchev Briag (Sunny Beach) Resort. The availability of main roads ensures easy servicing of the complex, and the proximity to Cacao beach will allow it to become inseparable part of the Slanchev Briag Resort and use all the facilities the resort possesses. Sunny Beach is the biggest and the sunniest Bulgarian resort, with the longest and the widest beach strip, with hotels spread along the beach and among the dunes. The resorts lies only 35 km north of the city of Bourgas, stretching along a beautiful semicircular bay facing east. Closed to the north by the descending ridges of the Balkan Range, thus blending sea and mountain in perfect harmony. Lying to the south is the small peninsula on which the ancient town of Nessebar is located - an architectural and historic monument of Bulgarian and world culture. Accessibility is very good with regular boat and bus connections to the district centre of Bourgas and Varna - 95 km. Charter flights from and to the UK and Germany are operated by the Bourgas international airport during the summer season. This listing has been viewed 1813 times.